Emmanuel Karagiannis, the author of " Political Islam in Central Asia: The Challenge of Hizb ut-Tahrir" discusses Central Asian energy politics, the political future of Uzbekistan, Kazakhstan and Azerbaijan and the growing influence of the controversial Islamist group Hizb ut-Tahrir. 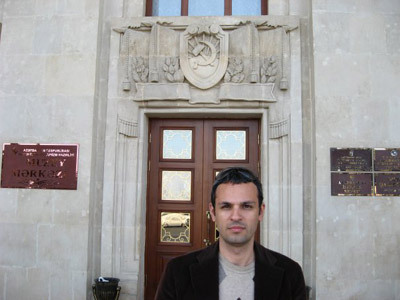 Emmanuel Karagiannisis Assistant Professor of Russian and post-Soviet Politics at the University of Macedonia’s Department of Balkan, Slavic and Oriental Studies in Thessaloniki, Greece. He obtained his Ph.D. in Politics from the University of Hull in Great Britain in 2000. He received his B.A in European Community Studies from London South Bank University and an M.A in International Security Studies from the University of Reading. He was a Postdoctoral Fellow at the University of Pennsylvania in 2005 and a Visiting Scholar at Yale’s University Macmillan Center for International and Area Studies in 2008. During 2010, he spent his sabbatical at Princeton University as a Stanley J. Seeger Visiting Research Fellow. 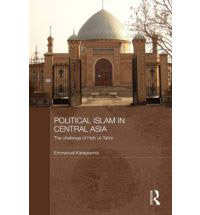 His new book Political Islam in Central Asia: The Challenge of Hizb ut-Tahrir has been published by Routledge in London and New York. 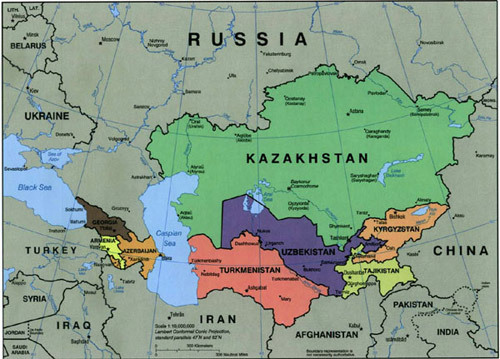 Could you give us a brief overview of the status of Central Asia in geo-political terms? The collapse of communism and the fall of the USSR not only led to the establishment of the newly-independent republics of Kazakhstan, Uzbekistan, Kyrgyzstan, Tajikistan and Turkmenistan, but also turned Central Asia into a zone of great power competition. The region forms a natural bridge between Europe and Asia, and constitutes a buffer between Iran, Turkey, China, India and Russia, all of whom have regional ambitions. Due to its rich energy resources, Central Asia has also attracted increased attention from the United States and the European Union. Central Asia is the world’s last geopolitical prize coveted by the world’s great powers. How is the geo-political equilibrium in the energy and security “pipeline great game” in the region at present? Who are the main players? Is China now the dominant regional player? Motivated by concerns over the diversification of supply routes as well as by geopolitics and instability in global energy markets, Russia and the United States have sought to assert their own interests in the Caspian Sea. Yet ethnic conflicts in Georgia, Azerbaijan and the North Caucasus have left the Caspian Sea in a state of “frozen instability” that reinforces the region’s immature political development and poses a considerable risk premium for energy development and transportation. In a region with high political and military risks like the Caspian, it would be ideal to establish an interlocking web of pipelines that binds all parties together while minimizing opportunities for disruption. In other words, pipeline routing should reinforce regional cooperation and stability, while discouraging monopolistic or a “winner takes all” attitude by neighbouring countries or external powers. For instance, the Nabucco and the South Stream pipelines could be integrated into one. Moreover, with the help of Russian and U.S. energy companies, post-Saddam Iraq could supply this new integrated pipeline with additional quantities of gas. The energy factor also counts for the rapid improvement of Chinese-Russian relations as seen in the post-Cold War period. Energy security concerns have forced the Chinese leadership to express an interest in Siberian gas fields, while Russia is at the same time looking for new markets. It seems difficult, if not impossible, for the U.S. to halt growing Russian-Chinese energy cooperation in the Far East. In Central Asia, a second generation of leaders will be upon us soon, particularly in Kazakhstan and Uzbekistan, how will this affect regional stability? Uzbekistan and Kazakhstan are two former Soviet republics which, for different reasons, have increasingly attracted international attention in recent years: the former is located at the heart of Central Asia and has the largest Muslim population in the region, whereas the latter possesses sizeable quantities of hydrocarbons. Yet, both countries have been ruled by the same person since the early 1990s An Azeri-like dynastic transition is not the most likely scenario because the would-be successors are females. The change in leadership could resemble a post-Niyazov succession struggle in Turkmenistan: inner-circle intrigues and plots. If the transition is not smooth, then the whole region could go up in flames. Uzbekistan is considered especially volatile, particularly in the Ferghana valley, how do you read the current political situation there? Since the 11 September 2001 terrorist attacks, the Uzbek authorities have attempted to capitalize on the U.S.-led anti-terrorist campaign in Afghanistan in order to suppress political Islam. To deal with militant Islam, the Uzbek regime has invested heavily in security measures. The rise of jihadi groups in the Ferghana Valley is primarily a political problem that requires long-term political solutions rather than short-term security measures. It is true that Uzbekistan lacks a tradition of democracy and rule of law; yet, only the establishment of viable outlets for legitimate political expression can reduce the appeal of Islamists to those who feel socially and economically marginalized. Do you feel that Kyrgyzstan’s democratic experiment has any hope of success? In the 1990s, Kyrgyzstan was viewed by the international community as an island of democracy and stability in Central Asia. In the early 2000s, however, the country underwent a de-democratization process. The overthrow of President Askar Akayev in spring 2005 initially was welcomed by many as a democratic revolution; yet, the new Kyrgyz President Kurmanbek Bakiyev soon lost his popular support following widespread allegation of corruption and favoritism. But Kyrgyzstan’s political system has become increasingly open and competitive; the recent elections proved that Kyrgyz voters want choices when they head to the polls. Kazakhstan is considered the most politically mature of the Central Asian Republics, is that still the case? Is there visible political development? The division of powers in Kazakhstan is highly problematic since the judiciary is, in practice, not independent of the executive branch and the parliament has a largely ceremonial role in the political system. Moreover, the Nazarbayev regime controls most electronic media and the Kazakh press has long practiced self-censorship on contentious issues like government corruption. Although the middle class is an emerging force and demands participation in the decision-making process, President Nazarbayev has adopted a strategy of authoritarianism to maintain power. Kazakhstan’s election laws restrict any real opposition parties arising or mounting a campaign. Nazarbayev has followed a policy that resembles, to a certain extent, the policy followed by the East German communist regime; political parties were technically permitted, but in practice they had no real political power and were not allowed to question or oppose government policy. Likewise, instead of banning opposition parties, the Kazakh authorities have permitted, or even encouraged, the establishment of political parties that tend to hold pro-government views. In this way, Nazarbayev claims that the country is heading towards becoming a Western-type democracy, while in reality Kazakhstan remains an authoritarian state. You have a special interest in the Hizb ut-Tahrir, can you tell us abut this group and why they are important. It is not an exaggeration to say that Hizb ut-Tahrir is probably the most controversial Islamist group in the world, since it has elicited distinct reactions from analysts, academics, and government officials. It is a trans-national social movement organization with thousands of members worldwide, including Western Europe, Central Asia, the Middle East, the United States, South-East Asia and Australia. Its logistical headquarters are apparently located in London, but there is only speculation on its international leadership’s whereabouts. The group aims to re-establish the historical Caliphate in order to unite all Muslims in a single state which practically means the break-up of existing Muslim states. Despite its Al Qaeda-lie agenda, the group has consistently rejected violence as a tool of political change. I am interested in Hizb ut-Tahrir because it is currently the leading Islamist group in Central Asia. Indeed, the growing popularity of Hizb ut-Tahrir has allowed Central Asian leaders to solidify their position and resist Western calls for political reforms. How far has political Islam spread into neighbouring countries like China and Russia? The hotbed of radical Islam in Russia is the North Caucasus which includes the autonomous republics of Adygea, Karachay-Cherkessia, Kabardino-Balkaria, North Ossetia, Dagestan, Ingushetia and Chechnya. The Russian-Chechen conflict, which started as a separatist conflict but eventually turned into a religious one, has destabilised the North Caucasus. As a result, Russia has witnessed some of the worst terrorist attacks in Europe. The Budyonnvsk hospital hostage crisis in June 1995; the Russian apartment bombings in September 1999; the attack against the Dubrovka theatre in Moscow in October 2002; the Beslan school hostage crisis in September 2004; and the Moscow metro bombings in March 2010 resulted in the tragic killing of several hundreds of civilians by radical Islamists. Simultaneously, radical but non-violent Islamist groups have gained popularity in the Muslim-populated autonomous republics of Tatarstan and Bashkortostan in the Volga-Ural region. During the 1990s, Tatarstan’s Islamist movement was confined solely within the bounds of Tatar nationalist parties like Ittifak and Watan. Since the early 2000s, however, Hizb ut-Tahrir has become the leading Islamic group in the two autonomous republics. By late 2010, tens of Muslims from these two autonomous republics were convicted by Russian courts for membership of Hizb-ut-Tahrir. Moreover, Hizb ut-Tahrir has reportedly extended its influence into China’s Xinjiang Autonomous Region, populated by Uighurs, a Muslim Turkic-speaking group. The inability of Uighur terrorist organizations (e.g. East Turkistan Islamic Movement) to seriously challenge Peking’s rule in Xinjiang could allow Hizb ut-Tahrir to increase its activities in the region. What about the Caucasus? Azerbaijan appears to be the key country there in terms of energy and security. How is the country developing? Is it destined to remain a Wild West? 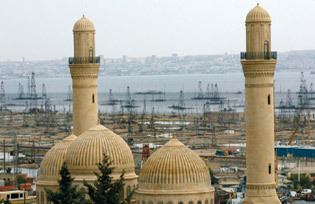 Azerbaijan is destined to become an important middle-sized oil and gas exporter. While Azeri oil and gas consumption is low, the country desperately needs Western investments to meet the demands of modernization. Moreover, Azeri oil is ‘non-OPEC oil’, meaning that supplies from this country are less likely to be affected by the price and supply policies applied by the oil-exporting cartel. Flows of large volumes of Caspian oil through non-Russian lands would erode the power of OPEC, as well as its ability to maintain high oil prices and to use oil as a mode of political blackmail. As a result, Western powers will maintain a strong interest in the country. It is also a very wealthy country but with shocking poverty. Is the county as dysfunctional as it appears? Heydar Aliev successfully fostered the growth of a personality cult, emphasizing his strong leadership and lengthy experience. His heir, Ilham Aliev has capitalized on his father’s legacy, encouraging the development of a new state ideology, Heydarism. In reality, it is the Azeri equivalent of Turkish Ataturkism, namely an ideology of secular nationalism with strong emphasis on charismatic leadership. Nowadays, it is common to see portraits of Haydar Aliev and his son in streets, schools, and universities. But it is only a question of time before the Azeri leadership faces tough policy dilemmas; income differences are enormous and oil money is fuelling growing resentment against the regime. What sort of a scenario do you see being played out in Azerbaijan post-Aliyev? In the case of Azerbaijan, it is difficult to predict what will happen and in any case the precise timing of such transition cannot be forecast with engineering exactitude. Given its political history, Azerbaijan could have anything from a full-fledged civil war to a democratic transition. Is the future of Central Asia and Azerbaijan going to be marked by their ownership of resources and thus a victim of developed countries’ interference, or is there hope for some sort of normalcy? Central Asia and its peoples have a great tradition in cross-border trade, serving for many centuries as central part of the ‘silk route’ between East Asia and Europe. All Central Asian countries are rich in resources: Kazakhstan has energy resources and raw materials, Uzbekistan has natural gas, raw materials, cotton and tourist attractions; Tajikistan’s landscape could be a world-class tourist attraction as could that of Kyrgyzstan. The international community, particularly Western governments, should encourage foreign investments and further integration of regional economies into the world economy. More importantly, the West should encourage democratic reforms in Central Asian countries which are suffering from democratic stagnation. Having said that, the United States should refrain from the kind of neo-conservative rhetoric about regime change and forced democratization that the world witnessed during the Bush years, because it is clearly counter-productive.